Honor has launched Honor Note 10 with 6.95-inch Display and 5000mAh Battery. 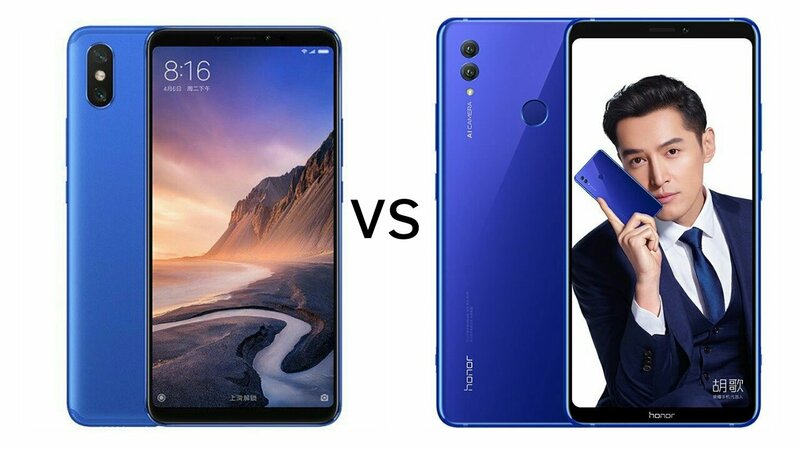 Check out Price, specs, Features comparsion between Xiaomi Mi Max 3 and Honor Note 10. Both Phones come with Dual Rear Camera, Fingerprint Scanner on the Rear and 18:9 Display. Xiaomi Mi Max 3 comes in Meteorite Black, Dream Gold and Dark Blue colors priced at 1699 yuan for the 4GB RAM and 1999 yuan for 6GB RAM with 128GB storage. Honor Note 10 comes in Midnight Black and Phantom Blue colors priced at 2799 yuan for the 6GB RAM with 64GB version, 3199 yuan for the 128GB storage version and 8GB RAM with 128GB storage version costs 3599 yuan.